The Bahat Winery is a family boutique winery in Kibbutz Ein Zivan in the northern Golan Heights. Ofer Bahat, an expert on fruit preservation and cooling, had dreamed for decades of making his own wine. He made his winemaking debut employing the simplest means: a storeroom near his home, using barrels, pails and equipment borrowed from friends. He selected grapes from a quality source: a northern Golan Heights variety that grows to a height of 1000 meters and world renowned for its quality and flavor. 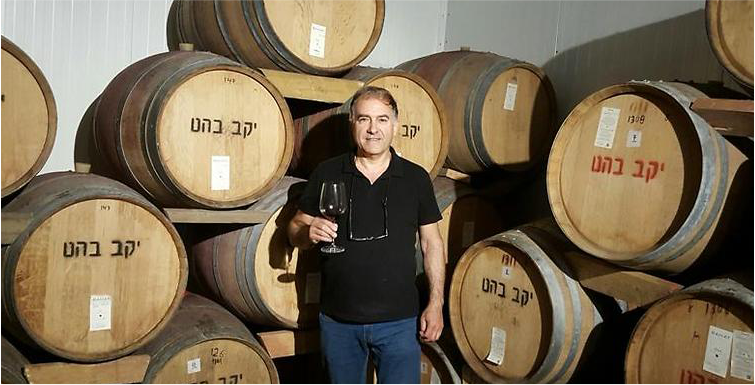 After gaining hands-on experience and learning from the best experts in the field, Ofer decided to open the winery and visitor center to the general public and share his great love of wine. Today, some 10,000 bottles are produced in the Bahat Winery each year from grapes harvested in the Kuneitra Valley and at the foot of Mount Bental in the northern Golan Heights, 1000 meters above sea level. The winery’s wines are sold exclusively on location and are not marketed elsewhere, though home delivery is available. In addition to wine, Bahat Winery also produces several varieties of liquor including cherry and blueberry, the fruit of which is grown in nearby orchards. Bahat [Alabaster] Bahat [alabaster] is a rare and precious stone. In nature, it is soft and transparent, and changes color according to the mineral to which it is exposed. It also changes color when exposed to water and lighting changes. The stone can be black, red, green, pink, purple and yellow. Besides its ability to change color, the stone has a strength-giving property. The winery’s visitor center also serves food such as pizza, salads, soups and cheese platters. The Bahat Winery is a boutique establishment where wine is made mostly manually in the traditional manner. The winemaking process is carefully and meticulously monitored from the grape growing stage in the vineyard, the selection of varieties, the harvesting and the wine production from fermentation, to the aging and bottling process. The winery has been making wine since 2007, and we develop surprising new wines every year.